Organizers fielded around 20 robots - child-sized devices with a whipping arm that can be triggered at a distance - alongside dozens of real children as part of a trial run. 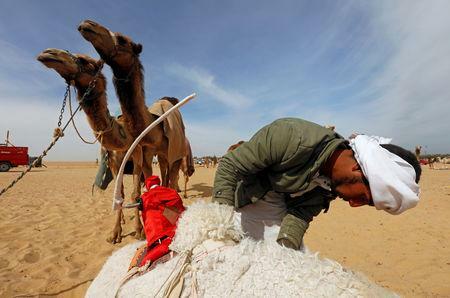 "God willing, in a year, there will be no human jockeys, except for some adults for the sake of tradition," said Eid Hamdan Hassan, head of the Egyptian Camel Federation, which organized the festival in the Sarabium desert of Ismailia. Owners at last week's Egyptian event said the bans had prevented them from fielding teams in Gulf festivals - and they hoped the move to robots would help them get in. 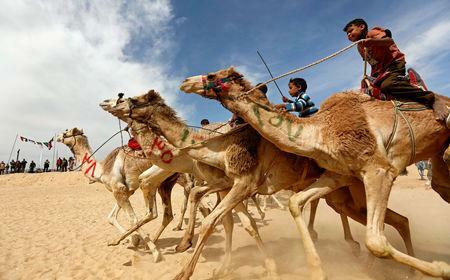 Esam el-Din Atiyah, president of the African Camel Racing Federation, which includes Egypt, acknowledged that child riders were sometimes injured. "Human rights organizations have said that this is child exploitation," he said. "The camel might lean sideways. We (the children) are better at riding leaning camels so that we can straighten its route. "The robot works well with camels that don't tend to lean." Victory raises a camel's value. "When a camel wins, you sell it for a good price - from 150,000 to 200,000 Egyptian pounds($8,700-$11,600)," said camel owner Mohamed Mostafa. 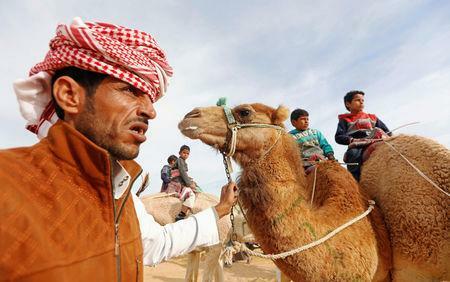 "The camel that doesn't win is sold for only 10,000."